A new mainframe to AWS environment? While the cloud promises tremendous benefits, moving mainframe workload there takes time and energy. Graham Owen is here with news of a helpful new facility for those exploring their mainframe to cloud journey. The Public Cloud is now established as a platform of choice for Linux and Windows based business systems and is recognised as a reliable, flexible and cost-effective alternative to on premise infrastructure. According to the 2018 RightScale “State of the Cloud” survey, 92% of organisations use a Public Cloud. To further leverage the potential benefits of Cloud deployment, many of our customers are considering the available options for deploying applications from other platforms including mainframe COBOL and PL/I. The business critical nature of the applications deployed on the mainframe means that any change is seen as high risk. Because of this any decision that involves significant change needs to be thoroughly investigated a process that can be extremely costly. For mainframe workloads, the flexibility and potential cost benefits of moving to the Cloud need to be considered carefully and any associated risk needs to be fully investigated and minimised. Efficient evaluation of the alternatives is required to ensure that any proposed solution is going to not only work, but also preserve the business functionality within the application and provide the necessary system reliability. The evaluation process will typically need to consider a variety of operational and technical questions, which in turn requires a test environment where customers can investigate at their own pace against their own criteria. 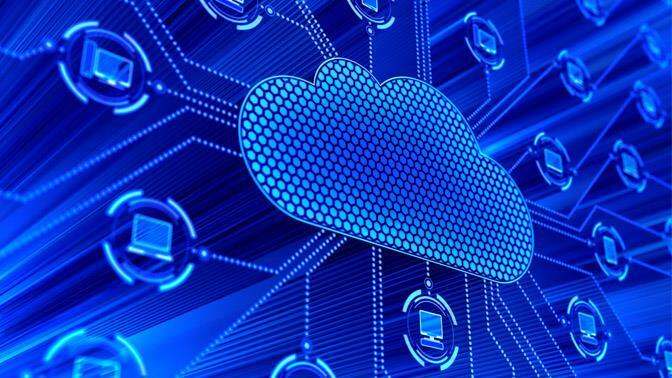 As part of Micro Focus’ commitment to simplify Cloud deployment of mainframe applications, we have developed a new facility called the “Quick Start for Enterprise Server” in partnership with AWS. Quick Start is an AWS-specific deployment method that reduces the number of steps required to build a mainframe application test or production environment under AWS. A Quick Start includes a reference architecture for deployment, AWS CloudFormation templates and a deployment guide. It is based on AWS best-practices for security and high availability. Using the Quick Start, customers can easily define a basic, low cost infrastructure environment for an initial evaluation where you only pay for the resources as you use them. This provides the ideal vehicle for investigating rehosting mainframe COBOL and PL/I applications to the AWS Cloud. The Quick Start for Enterprise Server includes a demo application that includes 3270 and batch access to VSAM and DB2 data files and helps you become familiar with the Micro Focus environment. This simple application is designed to demonstrate a typical mainframe application running in AWS. In a later phase, you might include your own programs in the evaluation process using the Micro Focus Enterprise Developer product, to compile, deploy and test your own application code. Furthermore Micro Focus Enterprise Analyzer is available to help with the overall discovery process and ensure that your evaluation is successful. Post evaluation, the Quick Start can be used to define a more complex, multi-node highly available production environment capable of delivering the reliability and availability mainframe users expect. A combination of Enterprise Server’s mainframe compatible execution capability and AWS fault tolerant architecture helps ensure that the applications users get the same level of service. For existing Enterprise Server users, the Quick Start simplifies the configuration of the AWS infrastructure required to rehost your existing deployment. This enables you to quickly establish a target environment within AWS to host your Enterprise Server regions. Quick Start for Enterprise Server is available now from the link below to help mainframe users evaluate running mainframe applications in the Cloud and to assist existing customers in planning the move from on premise to Cloud. Quick Start for Enterprise Server is here (although you do require an AWS Account and Micro Focus Enterprise Server License file. Instructions for new users are included in the Quick Start process. Existing users please contact your Micro Focus account representative. If you would prefer to start your mainframe journey to the Cloud by discussing the potential benefits, get in touch here or feel free to find me on Twitter.